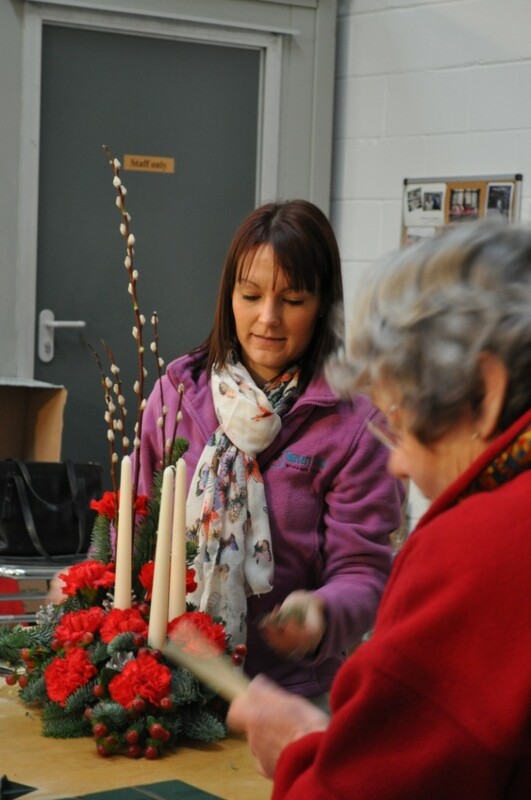 Nursery Fresh hosted the third of it’s flower workshops today. 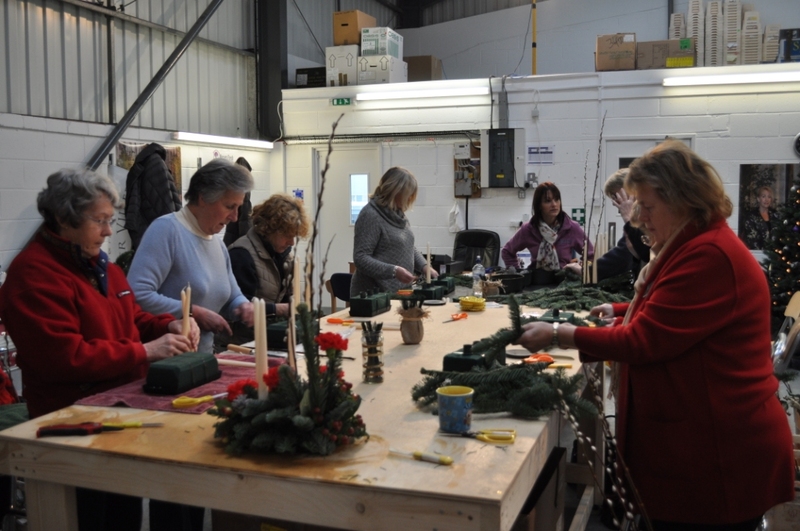 Ten ladies were treated to a demonstration by Nursery Fresh designer Rebecca Warwick, before creating their own fantastic Christmas table decorations to take home. 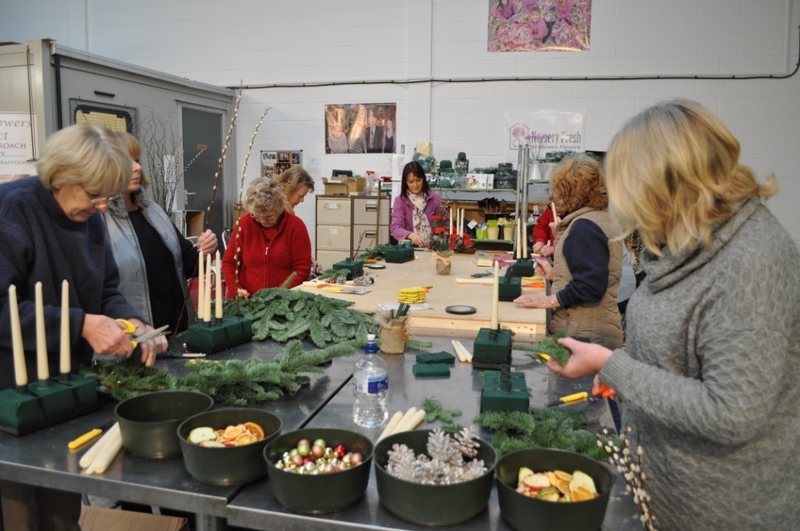 Nursery Fresh plans to host several of these intimate workshops throughout next year, with varying themes. With a maximum of only 10 participants, a relaxed and enjoyable time is guaranteed . 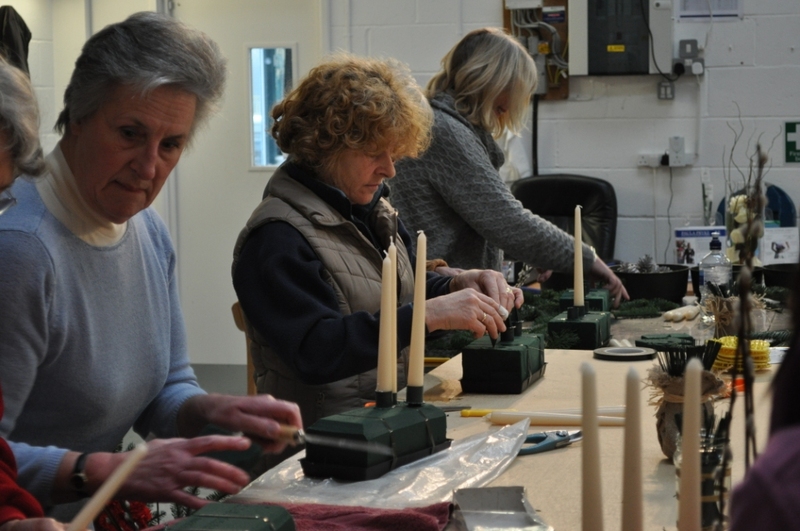 If you are interested in participating in a workshop, or can get together 8-10 friends for your own private class, then call Sally Waddington on 023 9259 1422 for details. 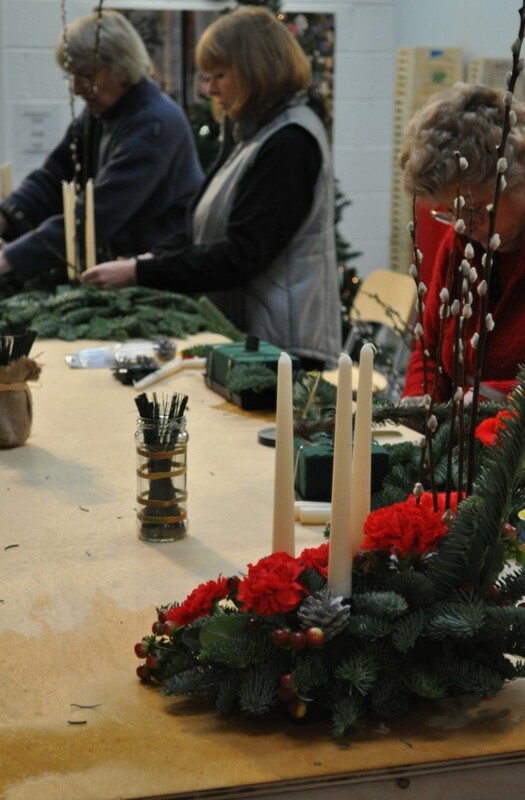 This entry was tagged bouquets, Christmas Flowers, Demonstrator, Flower Arrangers, Flower school, Flower Workshop, flowers, Horndean, Nursery Fresh, Portsmouth Flowers, Rebecca Warwick Emsworth Flowers. Bookmark the permalink.